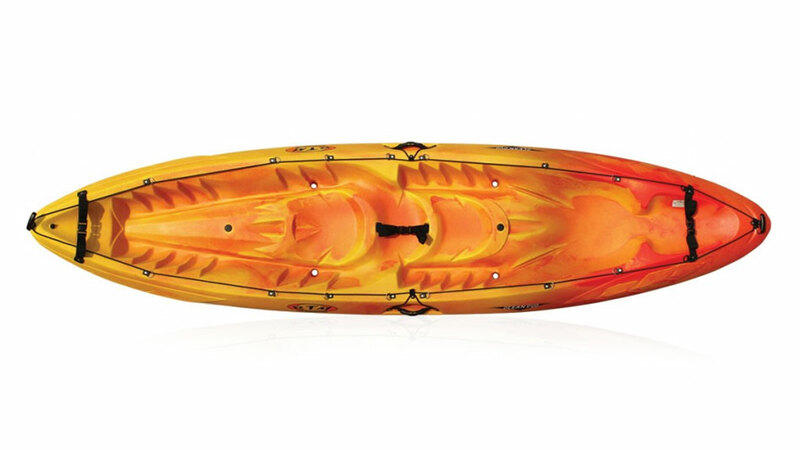 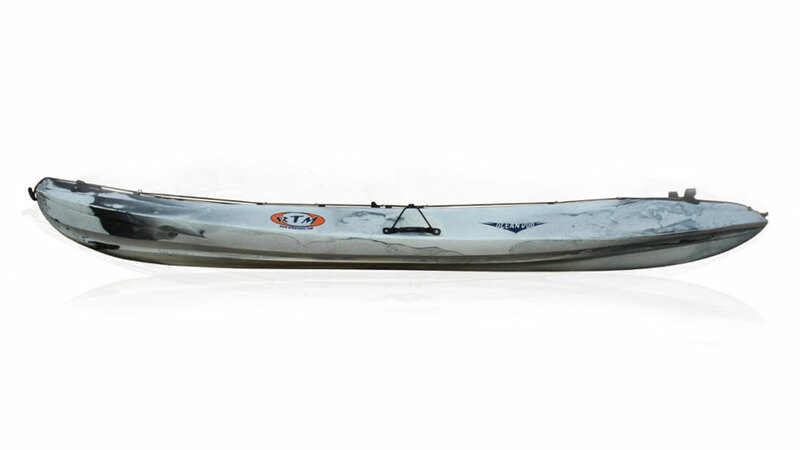 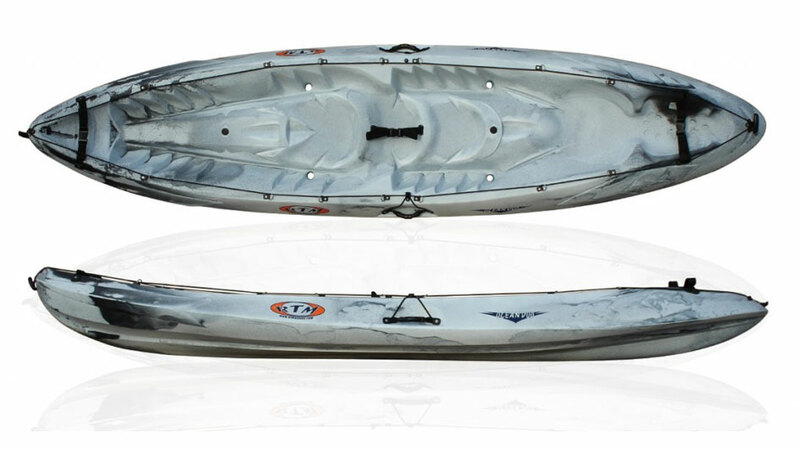 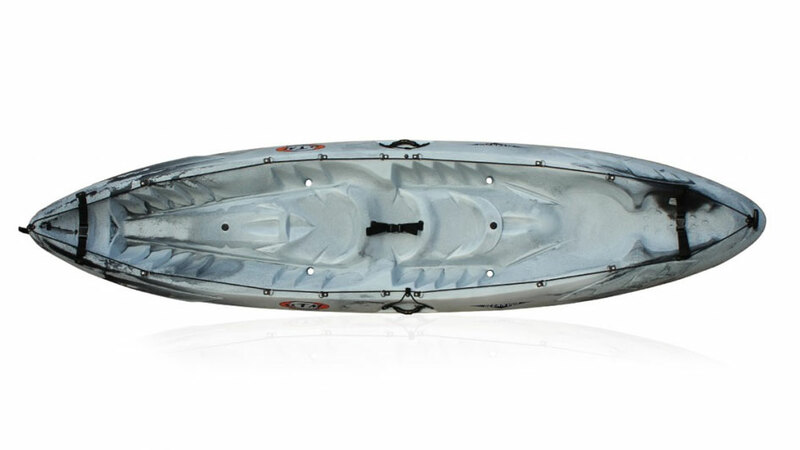 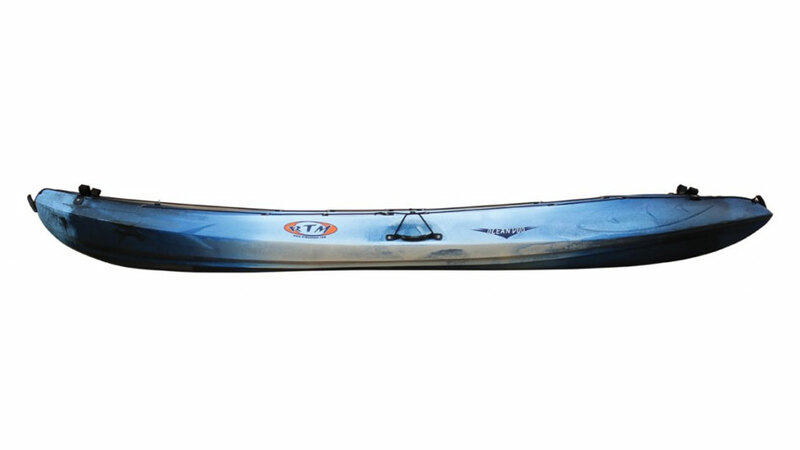 This double kayak, our best seller, is designed to accomodate 1,2 or 3 people. 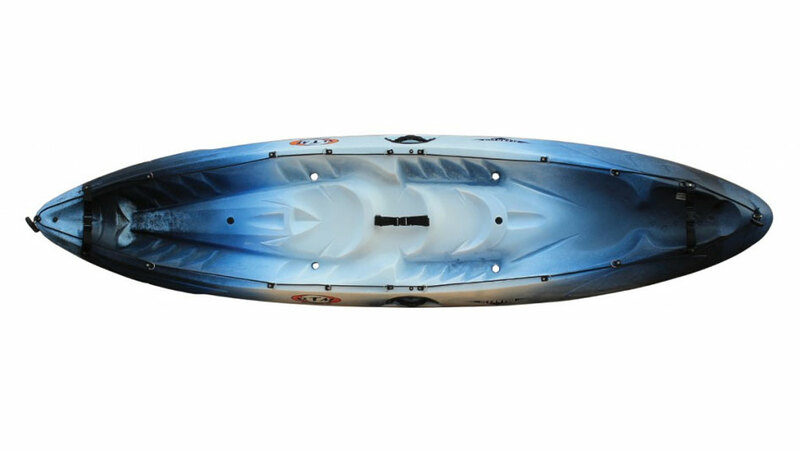 Due to its unique center seat it can be paddled solo. 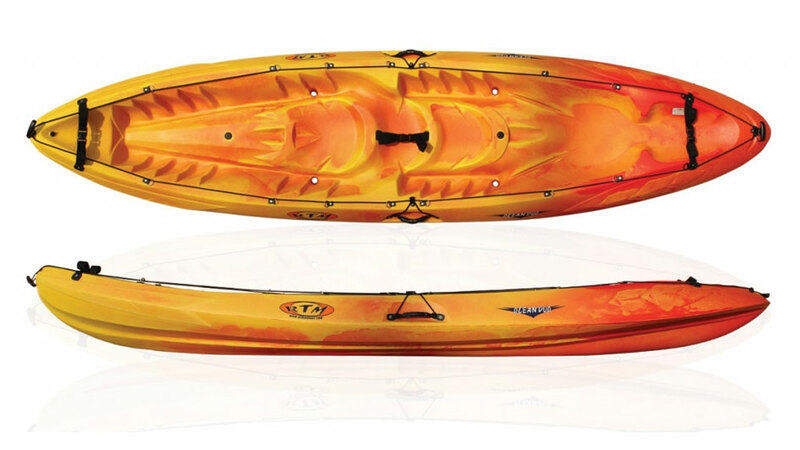 This is the ideal choice for family use. 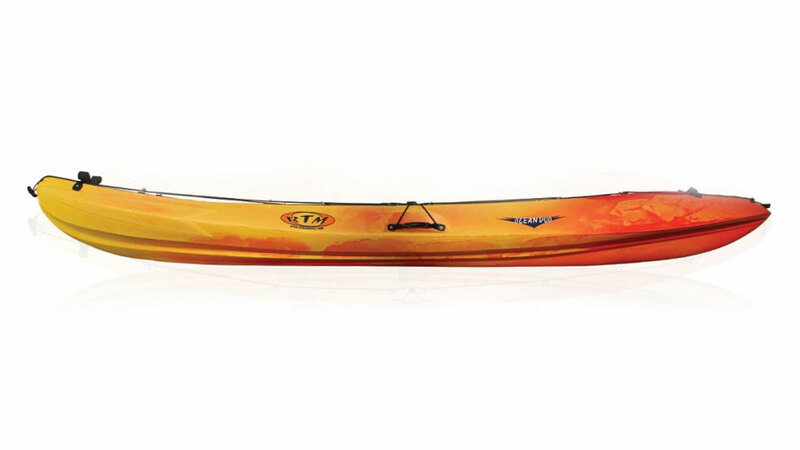 Comfortable and dry, it is a pleasure to paddle. 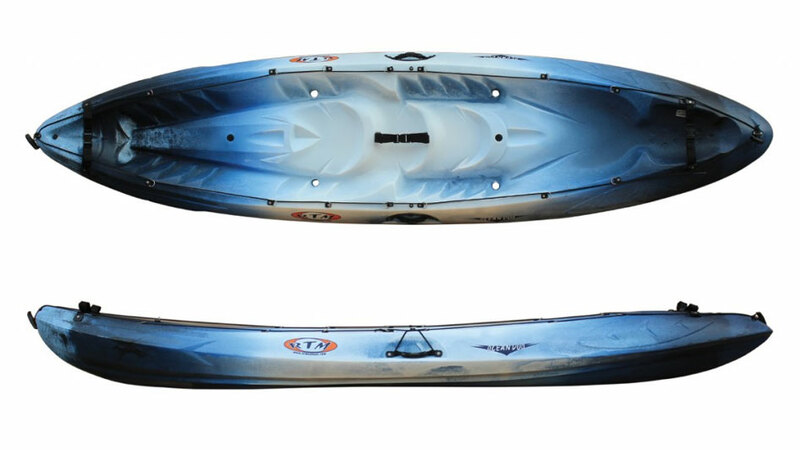 Equipped with storage areas in the stern and the center of the boat.